Do you have a wardrobe full of clothes that you wear but don’t love? Do you have a closet full of crappy clothes? Do you love some of your clothes, but many others are just “meh”? Do your clothes make you feel gorgeous, confident and express who you are? Would you like to create the perfect wardrobe? I’ve written before about the common closet issue of “it’ll do“ clothing. The garments we buy that don’t excite us, don’t really flatter us, or just don’t express who we are, but we’re busy women with little time to shop, or just aren’t sure what to choose. How do you get the wardrobe of your dreams? The wardrobe where you love the clothes and they love you back? The perfect wardrobe for you? 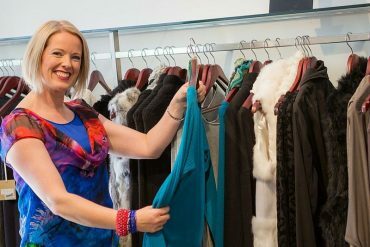 Here in part 1 of a multi-part series on how to have a wardrobe full of clothes you love and they love you right back I’ll share from my years and years of experience of working with clients and their wardrobes, what I’ve learned so you can start to get your wardrobe into a shape that truly makes you happy. 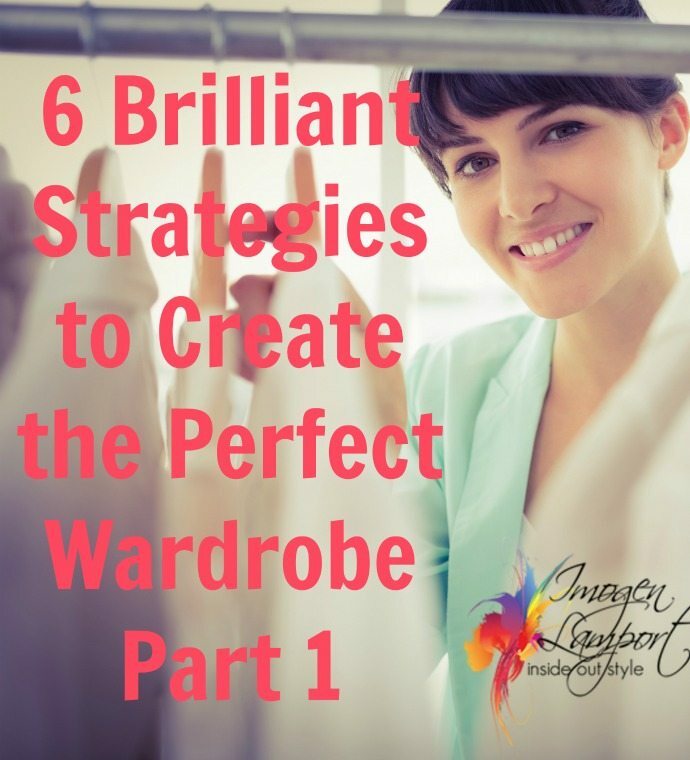 Here is the first tip on creating the perfect wardrobe for you. Do your clothes fit the body you have today (not yesterday, last week, last year or last decade, not sure what it is? Then check out how to determine your body shape). There is no point in holding onto clothes that don’t fit the body you have today. Bodies change shape with age and hormones. Childbirth can take a toll on your waistline. Menopause is also another time that changes where you carry your weight, you may lose it from your hips and thighs and it make move upwards onto your torso. Clothes are made by manufacturers to ‘fit’ the most number of people. When they talk about fit, what they means is “can I actually put this garment on a body” not “does this fit my unique body shape, proportions and variations and flatter them?” which is the question you should be asking yourself when you try something on. They are not designing clothes to fit you in particular. The armholes may be made larger to get the biggest variety of arm sizes into the garment. For you they may be too large (and you can read up here about why the size of the armhole matters), or too tight. The waist may be in the wrong spot for you (not your proportions). The shoulders too wide or narrow. The bust too tight or loose. The waistband digging in or gaping. There are so many fit points in a garment, I’m not so deluded as to expect that you will be able to walk into a store and have everything, or anything for that matter, fit you. But some garments will fit better than others. And you are likely to need an alteration here and there to create a good fit for your unique body. Tailoring is key in having a wardrobe full of clothes you love, because if a garment doesn’t fit well, you’re never going to love it (and it certainly isn’t loving you back). Yes, how you spend your time will influence the kinds of clothes you need. Many of us keep clothes that not longer fit the life we have today. I’ve seen corporate suits in the wardrobes of stay-at-home mothers, who aren’t planning on going back into the corporate workforce anytime soon (and I can tell you they are usually dated when I see them, and will be even more dated by the time they do go back to work). Spend some time figuring out what you do in your average week. How do you spend your time? What kinds of clothes you do need to look and feel appropriate? Then you can add percentages of how much time you spend in each category of clothing. This will give you an idea of how much of each type of clothing you need in your wardrobe. Have a look in your wardrobe, see if you have way more than you need of any of the categories above, or nowhere near enough. The percentage of time you wear it should be reflective of the percentage of clothes you own and wear. There is no point in having a huge casual wardrobe if you spend the majority of your time in smart casual clothing. Work out what you really need as far as your current lifestyle goes, then start working towards having your wardrobe reflect this. Clothes communicate. Do your clothes fit your personality? They communicate with their line, detail and design (elements I’ve talked about in all the posts about Yin and Yang). They communicate lots about you as person, as you chose to wear those clothes (and we assume purchase them too). Who you are, what your personality traits are is all expressed by what you put on your back. Such as whether you are conservative, bold, approachable, rebellious, sophisticated or nurturing (as just a very few examples). When you consider how you want to be perceived, who you are, what you represent, your ideas and beliefs, your values, your clothes should be telling the world the most positive aspects of who you are. If your clothes are worn out or stained – what does this tell the world? If you’re soft and nurturing but wear head to toe black your clothes then we may miss seeing that soft and nurturing side of you. If your clothes don’t reflect who you are as a person are you sending mixed-messages? You can discover how to understand the language of clothes and personality style in my 7 Steps to Style program, if this is something that you want to learn all about in depth (and I can tell you that it’s super important as your personality influences way more about how you dress than your body shape). Do the clothes in your wardrobe represent you right now? Who you are today? How you want to be perceived? If they don’t fit your current personality and what is important to you – then should you be keeping them? They are not loving you in the way you need. You want your clothes to be like a great husband not a bad boyfriend. That’s it for part 1 – read part 2 here and part 3 here! Tell me, what have you learned about how your current wardrobe fits the you you are today? Oh this is so true Imogen – I plead guilty to most. The one that is resounding in my head is the “does it fit your lifestyle”. I love cocktail dresses and own way too many of them, yet I’ll only go to 5 or 6 cocktails a year… but I keep them because they’re such a pleasure to wear. I am currently working on getting rid of suits, because as you say they can become dated and also they’re really not something I wear anymore. I would also add “does it fit your surroundings?”. There are outfits I love the look of in my own home, but when I step out of my front door, I feel horribly self-conscious, because no-one dresses like that around here and I’m aware I stand out like a sore thumb. It wouldn’t be a problem if I had an eccentric or exuberant kind of personality, but I’m more of an introvert and don’t enjoy being so visible! Very true if your surroundings demand a certain sort of dress – whether cultural or for other reasons! Judith’s comment resonates with me. I am 60 years old, so am more comfortable in more refined clothes, yet we live in a world that is super casual. How do you marry the two? For me, it is a work in progress. Any suggestions? Thanks Imogen. Today’s post is very helpful. I have one softly structured jacket and will be on the lookout for more! This is such an excellent post Imogen. I’ve just realised my focus on sewing and buying jackets and styles which were part of my work wardrobe (although I’ve been retired a few years). My personal style is soft classic, hence the rut. But now realise I need to reassess soft classic as smart casual.